Advanced equipment and experienced staff in the heart of Brooklyn. It's the Ditmas Park difference. 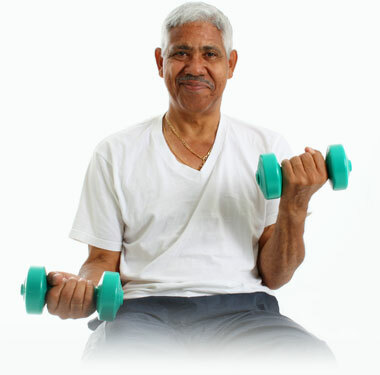 At Ditmas Park we aim to get you back on your feet and to the lifestyle you’re used to. Quickly. A healthy mind is just as important as a healthy body. That is why we offer a full range of therapeutic and recreational activities to ensure that our patients’ minds remain sharp. From book clubs to music to art therapy we provide a plethora of creative and inspiring outlets for each patient. Equipped with the most advanced equipment, Ditmas Park’s knowledgeable and experienced medical staff and therapists treat each patient with the highest level of care. Our highly trained staff will design a recovery program and regimen specifically for each patient and their personal road to recovery. A robust spirit, and the desire to fully recover, is an important part of recovery. To help stave off any potential depression that may occur during the recovery process, Ditmas Park offers an array of psychological and spiritual resources for our diverse patient population, enabling each patient to thrive in all areas! Great care starts with great people. That’s why the Ditmas Park staff is made up of people who are warm, caring, and dedicated. Our nurses work around the clock to provide expert nursing care. And our dedicated caregivers and aides respond to our residents’ every need. Personal care, concierge services, companionship – assistance is there, at the push of a bedside button. Ditmas Park offers many services to provide additional comfort, and enhance your stay or the stay of your loved one. Great entertainment, kosher food, religious services for all denominations – even accommodations for family members. If there is something you need, we will provide it. With care.